Are you looking for the fun ride of a Chevy Corvette in the Stillwater, Enid or Guthrie areas? Come see what we have at Vance Chevy Buick GMC in Perry, Oklahoma. We are just a quick 30 minute drive from each of these Oklahoma towns. 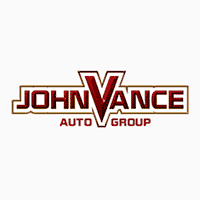 Vance Auto Group has been committed to serving Oklahomans for over 30 years! How do we do it? By keeping customer satisfaction our top priority. We have nine full service dealerships in our group which tallies up to a large inventory of used vehicles to shop from. If you want to test drive a brand new Chevy Corvette, come visit us at Vance Chevy Buick GMC in Perry, OK. Experience Oklahoma neighborliness! You will want to get up early just so you can take the long way to work driving your Corvette. This performance car was designed with those who love to drive in mind. Whether you want the Corvette Stingray, Grand Sport, Z06 or ZR1, you will get the thrill of power, speed, comfort and response. It’s not your grandma’s car! Not that we recommend it, but the Corvette is engineered to go from 0-60 MPH in 3.6 seconds. The exterior exudes speed, sporty style and sleek aerodynamic lines. There is no mistaking the legendary Corvette. The interior cockpit keeps you close to the road with all controls at your touch. It was selected by Car and Road as one of the 10 Best for 2019. As well as the Chevy Corvette keeps you connected to the road, you can stay in touch anywhere you go with all the technological connections such as: Chevy Infotainment Center with Built-in 4G LTE WiFi, Apple Car Play, Android Auto, Premium Bose Audio. With standard safety features like Active Handling, Traction Control, Bi-Xenon headlamps and 4-wheel antilock brakes, Corvette is designed to help you stay safe through performance. Come see why we’ve kept such high customer ratings all these years at Vance Chevy Buick GMC in Perry, Oklahoma where we treat you like neighbors because you are.